This is a fall 2015 course text for UTM course WGS 370. If you order any two or more course texts, please write WGS370 in the 'special shipping instructions' and we will waive the freight charge. Alternatively, you can call us at 416-944-0962 and order your texts over the phone. 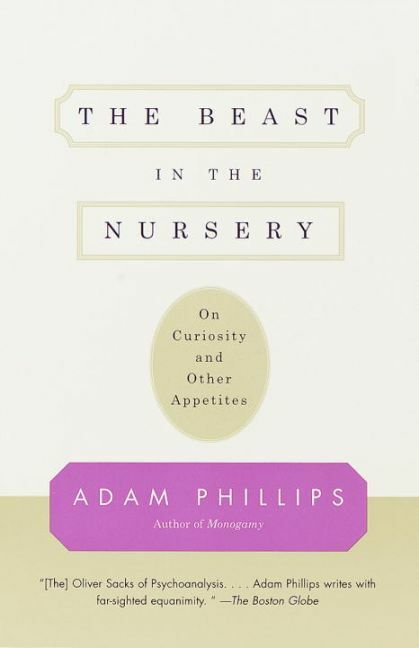 If you are disturbed by the idea that to grow up is to learn to live with disillusionment, if you are fascinated by the perplexity of child-rearing, or if you fear you were more creative as a child, The Beast in the Nursery offers an illuminating and possibly life-changing experience. In four interrelated essays, Adam Phillips arrives at startling new insights into issues that preoccupied Freud, showing in the process that far from having lost its relevance, psychoanalysis is still one of our most incisive tools for the exploration of the human psyche and its possibilities. Phillips transforms the genre of the essay into an instrument for intellectual investigation of the most absorbing kind. Adam Phillips is the author of Winnicott; On Kissing, Tickling, and Being Bored; On Flirtation; Terrors and Experts; and Monogamy. Formerly the principal child psychotherapist at Charing Cross Hospital in London, he lives in England.